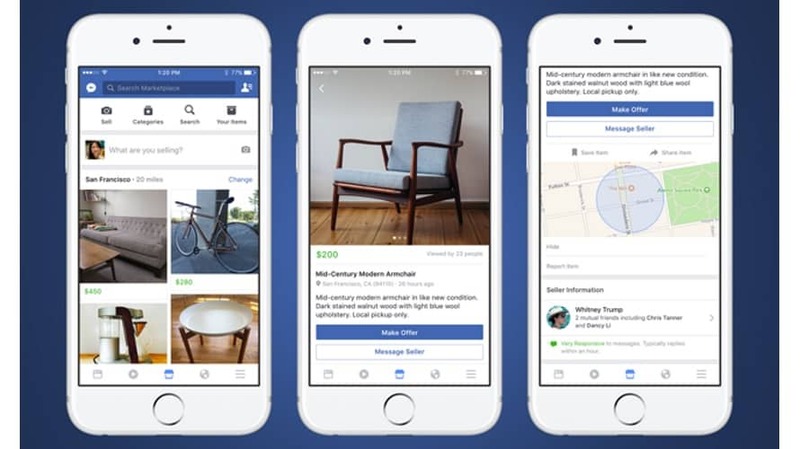 Facebook recently announced that it is enabling businesses to advertise in Facebook Marketplace to reach people where they are actively shopping. But traditionally, people have not visited Facebook with a shopping mindset. So, what’s the point? Well, the point is this: Behaviors change, and Facebook is adapting. Social networks used to be platforms where we could connect with our families and friends and communicate by sharing content. And they still are. More recently, however, people have been using these platforms for trading purposes. For example, Facebook groups have become natural destinations for people with like-minded lifestyle interests to also start offering to buy and sell things that relate to their interests. People who join groups for vinyl lovers inevitably start asking, “Anyone know where I can get an original vinyl of Sgt. Pepper’s Lonely Hearts Club Band?” and another member raises their hand with an offer to sell a copy. Facebook groups have been convenient venues for users to buy and sell items locally, but in order to find a buyer or seller, one has to navigate through dozens of groups, which has made using groups tedious and impractical for commerce. So, in 2016, Facebook introduced Marketplace in an effort to centralize the shopping experience. It promised to be a one-stop-shop—an interactive destination that allows users to browse items for sale by category in their area. But here’s a crucial distinction: From used cars to home services, Facebook users can now find a variety of products (new and used) and services from retailers and other businesses easily in a single place. Those businesses are vetted by outside companies to give buyers a level of confidence that they are doing business with a legitimate company. Why could Marketplace advertising be valuable? A Facebook Marketplace that makes it easier for buyers and sellers to do business makes Facebook a threat to marketplaces such as eBay and Craigslist. Doing so also helps Facebook keep users engaged, which is a growing challenge. Facebook does not collect a cut of revenue from products sold on Marketplace. But the social network always monetizes its products, which is why Facebook has made it possible for businesses to advertise on Marketplace. The reason why ads in Marketplace have potential is simply the difference in user intent. Users who visit Marketplace are looking to buy something. By contrast, people scrolling through their News Feed are not necessarily interested in purchasing products—they just want to laugh at a good meme or watch a fun video. Within this new placement, conversion and catalog sales ads will most likely yield better results than traffic and video views ads. I would expect conversion campaigns in Marketplace to have better click-through rates and lower cost-per-action numbers than those placed in the News Feed. But reach might be more limited in Marketplace than in News Feed since most users spend most of their time in the latter. Nevertheless, costs per click in Marketplace could also be lower (at least for now) as businesses begin to test this new feature. So far, our client experiences at True Interactive are consistent with my expectations. For example, we just tested a conversion campaign for a client. As I had anticipated, cost per conversion in Marketplace was much lower compared with that achieved in the Facebook News Feed. But reach was low (only 4 percent of total campaign reach). Overall, CPA was 19 percent lower in Marketplace than in News Feed.